You will first need to visit the My Account section of our website, and download the .zip file for the current version of your theme, this is located in the Downloads tab. Make sure the .zip file stays in tact, if after downloading, all you see is a folder, this means your browser is set to automatically unzip files upon download, you will need to turn this off in your browser's preferences and re-download the zip file. Once you have downloaded the .zip file log into your site's admin and navigate to Appearance->Themes, in the WordPress sidebar. Activate another theme, it does not matter which, this simply allows you to delete the current version of your theme so that you can upload the new. You do not need to worry about losing any customizations or options selections, as these are saved in the database. The Theme Details popup will appear and in the lower right hand corner is a red link titled 'Delete'. Click this link to delete the current version of your theme. 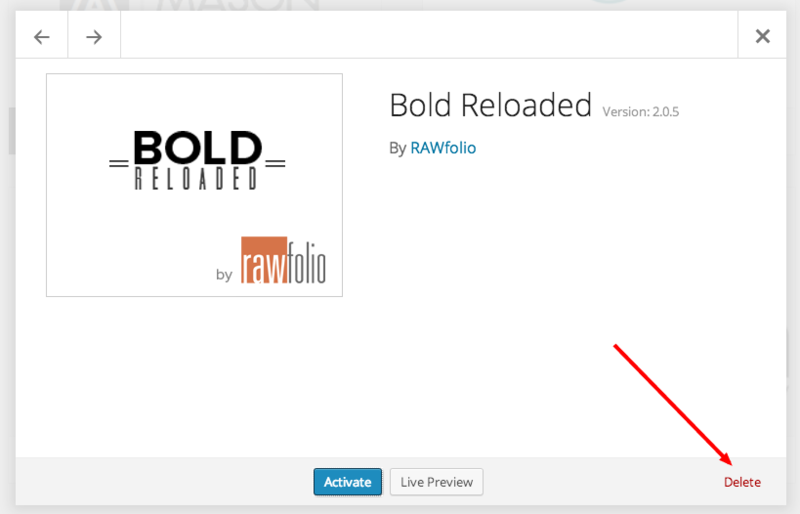 After deleting the old version, click the 'Add New' button at the top of the page, this will take you to a screen to upload the .zip file you downloaded from your account. 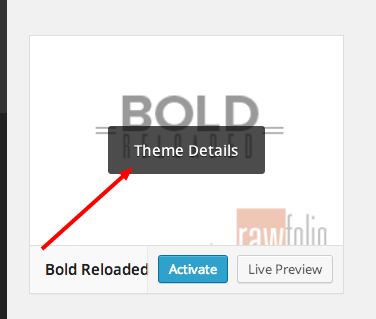 After the .zip file has uploaded, be sure to click the 'Activate' link to re-enable the theme. 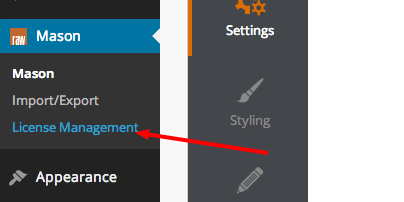 After enabling the theme you'll notice a new sub-menu of the theme's option page, titled 'License Management'. This is the page you will need to enter your New license keys and email address to activate the theme and enable Auto-Updates.